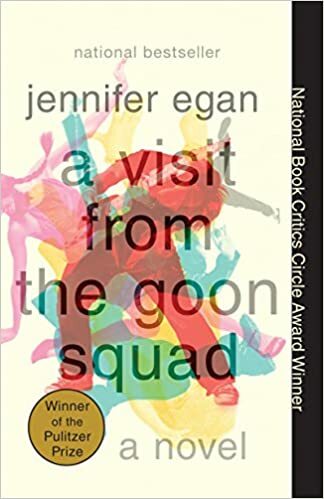 “Jennifer Egan’s spellbinding interlocking narratives circle the lives of Bennie Salazar, an aging former punk rocker and record executive, and Sasha, the passionate, troubled young woman he employs. Although Bennie and Sasha never discover each other’s pasts, the reader does, in intimate detail, along with the secret lives of a host of other characters whose paths intersect with theirs, over many years, in locales as varied as New York, San Francisco, Naples, and Africa. You can find a copy of A Visit from the Goon Squad in our Staff Pick display!